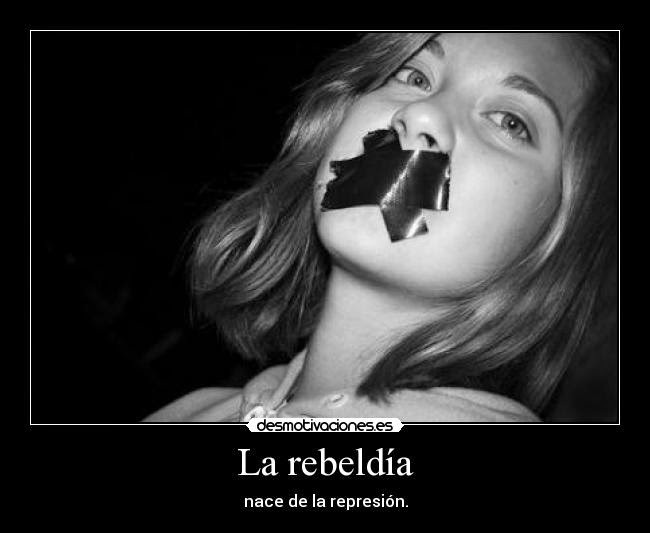 I feel myself more rebel each day. I look around and I cannot help to ask myself why is everything the way it is. Crowds of people waking up each day, working hard (or not, but about that I will write better in another moment), getting money to spend in stuff we really dont need at all. And is never enough, is a sick circle in which all of us get involved since we born. And what,s the point of that?. You can say I am a dreamer, but as the song says, I am not the only one. Sometimes I am about to quit, to be two faces, to pretend to accept what I see, to say what I should and not what I think. But luckily enough I still have my fighter soul. We just live once and we shouldnt waste our lifes doing what we dont like. Just imagine one day you open your eyes and start to make your dreams true, imagine you can forget about paying the damn mortgage, about worrying for having enough cash to buy your clothes, warm yourself or feed your children. I know, sounds so irreal thats is difficult even to picture it. But not everything is lost, still we have some freedom, still we can make a difference everyday not forgetting that money can rule the world but not your soul. Stand up, shout, open your eyes, make your life worthy.